Haven’t there been times when we’ve used our pain or life trials as a crutch or to solicit sympathy or attention from others–at least temporarily? In the card image for the 5 of Pentacles (above) she is sitting on the rock, crutches on her lap and out in the cold, no less. Note the scarf, gloves and snow upon the ground. We all get wounded from time–we suffer an eye-opening loss and our initial reaction is squeeze the eyes closed. We just don’t want to deal with it. But eventually, it comes time to open the eyes and take inventory or make a plan of some kind. Yet we all know that some folks never do; they lay claim to role as victim and do what they can to enhance that role or overly exaggerate their difficulty. There’s help available and they know it and also know how to reach out for it but (for whatever reason) remaining victim has become a habit that they are getting something from. The greater difficulty with a person using using those crutches long-term is that they block the ability to change and loose touch with inner values and their own spirit. Drastic changes in life circumstances due to external conditions happen to all of us at one time or another. All three cards chosen today for blog fodder were Pentacles–cards of the earth and of material world and worldly concerns. In some tarot decks we see the 5 of Pentacles person on crutches, wounded by life, walking past a church or chapel ~ not going in. You get the feeling that spirituality is being ignored. There are times that isolating one’s self from the world for a little while is a good thing right after suffering a dramatic change in the circumstances of our life. I feel pretty qualified to write about the 5 of Pentacles, haven “been there, and done that” as the saying goes. I isolated myself and shut my eyes and it got pretty cold there eventually and I did take shelter in the spiritual realms. Reading spiritual books, meditating, seeking out like-minded individuals, finding a soul family for a while and being helped–but I had to seek a solution and leave the crutches behind, and come in from the cold place where I was making material concerns more important than they should have been. And that brought me to a ‘2 of Pentacles kind of place’ in my mind and heart. Through my newly established ‘spiritual legs’ (after haven tossed those crutches away), I was able to be more joyful about life. I opened my eyes, realized the lessons and the blessings in the recent changes and was able to “go with the flow” as the saying goes. The gift of the drastic change to external conditions enabled me to further develop the ability to feel much deeper compassion for myself and others. I found ways to take advantage of the shifts of energy. I raised my sails and let the winds of change move me and did not resist. Sometimes there was no wind and I found myself in the ‘doldrums’ on those occasions–once in a while depression or feelings of hopelessness kicked in. 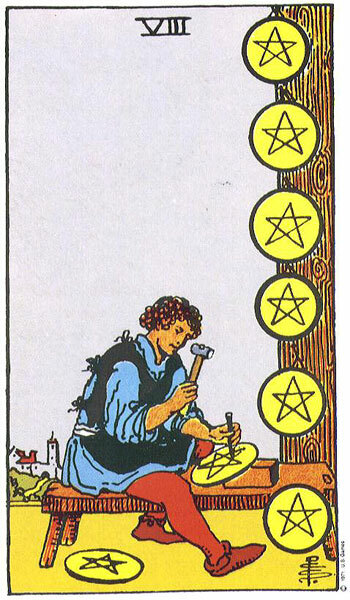 But by then I had already turned my crutches in for a hoe (I’d learned how to use some spiritual tools) and just like the image on the 7 of Pentacles card (above) I had to contemplate how to use those tools; but figured it out. Perpetual change was the name of the game in certain periods of my life and those changes helped me to learn how to maintain equilibrium. I learned a lot about my strengths and also my weaknesses during times of rapid fire change. I learned to trade in any illusions about the outer world being a stable and safe place and realized (each time and on deeper levels) that all stability and safety is to be sought and found within one’s own spiritual self. In doing so I calmed myself enough (opening my eyes) to be able to see opportunities around me and also the true beauty of the Earth and Life Itself. (Capitalization intended). I saw The Divine everywhere I looked once I found The Source within. We must not be afraid of change. We need to “un-stick” ourselves from old conditions and release the past in order to benefit fully from all the gifts that Life has to offer. We are taught by society that our stability in life comes from the work, the career we have within the framework of society. We may have prepared for a particular job or career only to find that work dissolve before our eyes. That happened to me. There was health care reform that affected many professional health care providers like myself for a short time. Physical Therapists (like myself), Occupational Therapists and Respiratory Therapists–many of us found ourselves applying for job loss benefits. It was very de-stabilizing time. 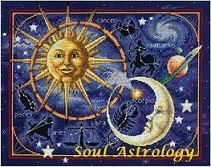 And that was around the time that I found much more satisfying work that I do as a counselor and professional psychic. We all must do something in some way when we are feeling destabilized. We cannot remain too long in that stuck and un-focused state. 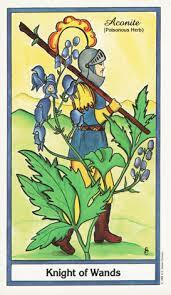 We must take those tools (that garden hoe shown in the image of 7 of Pentacles above) and plant some seeds. While we’re waiting form them to sprout and grow, we cannot loose faith and hope. Instead, we can firm up our inner spiritual fortress while we’re waiting. In my case, I built a website to do my psychic work and it was about 3 months before I could see the search engines picked it up and people found me. Meanwhile however, it was a great joy for me to create the many web pages and load images and write articles for the website. On days when I had no clients, I used the day to create the next web page and then the one after that. I continue to have failures and also successes and both have served as great teachers for me– it continues that way. For myself and for all humans who open their eyes and put down the crutches and pick up the spiritual tools, establish a true connection with the Spiritual Source within and plant those seeds while dancing with the movement of life we are able to recognize opportunity. Then it becomes clear to us that there is nothing to fear and most of all that we are supported by a kind, giving and loving universe. We get there by looking inward. Plants, like people, need to gradually get accustomed to change; otherwise, plants get shocked, just like people do when exposed to sudden change. Hardening plants as they grow from seeds is how to avoid transplant shock–gradually introducing change. Introducing the newly sprouting plant to the new environment stages is the thing… bringing plants from inside to outside in stages. It usually takes time to become established–whether it a plant or a human that we’re talking about. Good soil is important to survival too and when I relate that to the similarities to a human being, it comes down to spiritual teachings or understanding making the good soil in the human soul. Plants are fragile when young. And people are fragile when adjusting to change and having to sprout from new seeds… change in a human’s life is like a seed that is being asked to sprout. Right conditions and tender care and nurturing are important during early growth. When sprouting and then transplanting–it’s like proper tending to young leafs and root. It’s important when tending new growth that is just developing an early root system to use great care when first transplanted into larger containers. People develop early root systems in new environments too whether those environments are emotional or physical, it’s important to not disturb the soil/soul too much or damage the early rooting process. When it comes to people and my own life in particular, I realize in retrospect how these principals have played out as evidence of divine intelligence/spirit guides co-gardening some of the changes of my life. It’s also important to not let the roots dry out–this is true with plants and humans alike. Continuing to nurture the roots… not allowing over-exposure to what is not nurturing… like poor soil and over-watering… the right about of water for a plant is important. And with a human the right amount of whatever is nurturing to the soul is important too. What nurtures the soil of your soul? In my own case, what I find nurturing is a connection to nature and to meditation (preferably meditation in nature if possible) and also an environment of quiet as well as surroundings that I find attractive to the eye… pretty surroundings with plenty of daylight. My apartment has many windows and this is nurturing to my soul. What one plant or flower finds nurturing may be different than the next–some like more water, some less and that type of thing. Humans also differ in what nurtures their soul and “SOIL”. Interesting, isn’t it? The slight difference in the spelling of the words … i and the o in those two words I mean. Soul and soil– but both have such a similar meaning. Sometimes plants can regenerate even if injured–people too. I wonder if our spirit guides assist in gardening our souls. Do we, as humans, become exposed to harsh conditions on purpose and gradually in order to “harden” us to change so we grow better, just like how we humans do with our plants? We may take the newly grown flower or plant once transplanted into a larger pot outdoors for only a few hours a day and only in shade and then gradually expose it to sun and then gradually to overnight temperatures or warmer daytime temperatures. Did you know that removing lower leaves and burying things deeper in the soil helps the plant become more resilient and aids in its growth? I’m learning about plants and flower planting from seeds right now and can really see how that relates to the human life and soul as it applies to growth and change in our human lives. Removing the lower leaves of a plant leads me to think of letting to of old baggage in a human life– releasing our past memories or experiences in order to acclimate successfully to the changes in life. Do our guides clip those leaves? People sometimes loose a relationship or a job or sometimes both (those lower leaves) when they are growing the seeds of a new life. How many times in one lifetime do we die and re-seed and become reborn? I can see this so many times in my life—as if I’ve spawned new seeds a number of times in this one life. Plants and flowers that are young need proper nutrition to prevent transplant shock and in our life when we have experienced changes we need to give ourselves proper nutrition too–in whatever way we nurture our soul and our body; we need to do that until we become stronger. A gardener adds nutrients to the soil after transplanting and I think our spirit guides find ways to bring people, information, and circumstances into our lives at the right time, too, in order to nurture our souls so that we can grow stronger after change. I think many times our spirit guides are the co-gardeners of our soul and that we should try our best to cooperate with the gardeners and through awareness also help garden ourselves. Don’t we talk to our plants and flowers? Many of us do! And I believe and know firsthand that our spirit guides talk to us too. Why is this difficult to understand? They inspiring us to grow and to adjust and they teach us how to self-talk so that we can receive proper nurturing and nutrition. Yes; this is how it is. I think so. Sometimes plant wilt and when plants wilt sometimes they need more water and more shade many times too. (Of course we can over-water plants as well which speaks to proper balance.) The human soul and spirit wilts sometimes too (and the body does as well through over fatigue sometimes; too much watering! )–and when these things happen, we tire of the struggle. So what can we do? When that happens to the plant or flower, the gardener removes it from the environment which is not agreeing with it and gives it more shade and more water or whatever is needed. Humans can take a vacation or relocate and in that way it’s similar — or if that’s not possible, change the mind in some way. Until we or our plant grow stronger and more resilient and until there is proper soil and surroundings we try different things. Some gardeners when planting in the ground (from container to ground) which is done after gradual acclimation to the outdoors when the plant is stronger… well, they plant flowers or plants in the ground late in the day so that they get accustomed to the overnight temperatures and wake up in their new place in the earth in the morning. Another new beginning. Some seeds don’t make it of course. Some plants that are transplanted, don’t make it either. Bu the gardener learns through their failures. Maybe our spirit guides know us well and which of us can be directly transplanted into the garden or in human terms can just be planted right into the place where we are intended to grow and without needing gradual acclimation from one type environment to the next. Have you ever been transplanted? Do you ever feel like you’ve been a seed that sprouted and then dug out of the pod holder and planted into a new environment? I sort of feel that way about some of my own recent moves in this location since I left the mountains. I’ve moved several times since seeding in this city. Each apartment I lived in was a temporary container as my seed grew and perhaps I was being “toughened up or hardened” in order to survive in this environment. Makes perfect sense to me! We get ‘hardened’ as humans and as plants by growing in an environment that we simply have to deal with day in and day out. Some plants can be directly sown outside — some are by nature more hardy or tough. Some of us can be direct seeded into the soil of our lives—some of us can just naturally deal with change easily or deal with suddenly moving to a new location or starting a new relationship or a new career without stress. Some of us need gradual acclimation. Sometimes we can wilt a little bit, but can come back with a small amount of TLC. I had one huge plant that I gave my daughter when I moved from the mountains because I simply had no room for it; it’s in a big pot that sits on the floor and takes up a good deal of space. We call it “grandpa” because I’ve had it for such a long time. Its fairly pot bound but we just don’t want it getting any bigger than it already is — so it needs a lot of water being a water loving plant by nature but because it’s mostly all roots and not much soil to hold moisture. Anyway, grandpa will easily wilt and look almost dead if not watered; YET, as soon as it gets a drink it stand up straight and salutes. Only in a matter of hours! Some of us are like that plant I think. Some plants will drop seeds and re-bloom again the next year, planting their own seeds so-to-speak. Tomatoes can be like that I hear (have never grown tomatoes so I don’t know firsthand) and Morning Glory flowers will drop their own seeds and come back again the next year too. Regenerating themselves; that’s pretty cool. It’s like a plant having it’s children from generation to generation, isn’t it? I have dropped my own seeds and those seeds have grown to drop seeds of their own; children and grandchildren. But those seeds need nurturing too and I’d like to think that I have become that human gardener to human seeds as a parent and grandparent. Yet, I also know that I have had co-gardeners from higher places helping me. We can improve our gardening through education — just as I’m doing today as I learn about growing flowers from seed which inspired me to write this piece. The human body, mind and soul are no different when speaking of educated gardeners. We can learn how to garden our children and of course our own self through education–through learning what helps us to grow stronger and more resilient and what kind of soil we need as well as how to acquire the proper nutrients. Some gardens simply grow on their own, reseed themselves every year but still we must keep and eye for predators, pests, etc. Sometimes we have to rid ourselves of certain people or energy that damages our growth–it’s true, don’t you think? Just like we take precautions to protect our garden. Gardeners say that it’s not just about the soil it’s about the LIFE IN YOUR SOIL. I can realize how that this translates into the human condition as well. It’s not just about the soil it’s about the LIFE IN YOUR SOUL. What do we do to nurture that ‘soil’ and that ‘soul”–? How do we unlock the nutrients within the ‘soil’ and in the ‘soul’? If we are not in the perfect environment we can do things to condition that environment so that we can grow better within it. That’s a lot of what Feng Shui is about–“treating” the environment so that it is balanced so that we can unlock the nutrients of our “soul” like natural fertilizers (compost, etc.) can unlock the nutrients of the “soil”. If the soil in the backyard of where someone lives is not conducive to what the gardener wants to plant, then the garden is created in an above the ground raised bed. You’ve seen that in gardens, right? People will create a raised frame with wood or anything that creates a barrier to hold soil thereby creating a raised flower bed or garden area so that the gardener can control the proper soil. In our lives we can do the same thing if we find we are on ground that isn’t naturally nurturing for us. With any garden — the garden of our soul/psyche or the garden in our backyard or patio, we learn as we go and we learn as we grow. I think spirit guides are learning too, right along with us. Can I prove that? No, but it makes sense to me; that’s all. We are all growing and evolving as above so below, and as below so above too. We learn as we grow! Whether it is the earth garden or the garden of our own soul. When the Moon transits your 4th house–hang on Snoopy, hang tough. That was yesterday, for me—the Moon was moving through my 4th house. I’ve got some perfect examples of this transit for you. First let me list the typical areas of life that get triggered as a Moon moves through house 4. Home is the key here and by the way the Moon actually rules this house and that makes this particular transit a strong one—like a double dose of Moon energy. Decorating the home—any kind of project involving home at all actually would be typical. Moving furniture, cleaning, and since the 4th house relates to “family”, those ties may be active. Moon rules Cancer and relates to family, nurturing, feelings, emotion, moods, home, soul, the past, ancestors, parents, childhood, self-image, housing, subconscious and midnight (nadir). This area of the chart is also called the IC…. it’s from Latin —Imum Coeli (Latin for “bottom of the sky”. Like house 12, this area of one’s life is another where the soul desire is to withdraw more deeply into a place of safety and security—into one’s self. Issues with “parents” or “childhood” may be triggered. The 4th house relates to the foundation of one’s being. Issues or concerns about housing situations would typically come up at this time of the month more than any other time. It’s also a time when one recalls one’s ancestors and reaching back to connect with them in some way. Questions of the mind and heart such as, “Who is my family?” and “Where is my home; where do I belong?” would motivate one’s feeling nature. A double Moon time is an intense “feeling” time. PERSONAL NOTE: It was unexpected and at the time I’d forgotten about the Moon and the houses. I’d been considering moving a portable desk that I wasn’t using and that was taking up too much room in my closet for days—weeks actually. Finally I got the big awkward thing down the stairs and loaded into the car along with my gear for the YMCA for the workout the followed. Later in the day I did some reorganizing in that closet and ran the sweeper over the carpet and cleaned the bathroom. I mention those details because they relate to typical 4th house activities being simulated by a Moon transit as mentioned above. I cried even more thinking of how optimistic I was feeling at the time things were loaded in and noted how some of the boxes and belongings has shifted and slid from their neat stacks since the day they were so carefully and confidently placed! Every emotion that I’d been holding together came undone and I bawled like a baby for goodness sake! 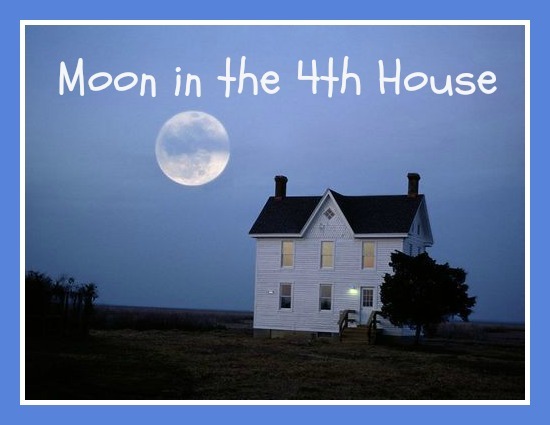 Yep, there it is Moon moving through the 4th house—a perfect example! And right on time. The rest of the day it felt like someone had punched me in the stomach. Believe it or not I think I cried while doing laps but the tears, if any, would have blended with the water certainly nobody could see my face anyway. By the time I was through the 48 laps that I swam, I did feel better. Exercise always helps@! I got to bring in a moment of homespun ambiance experienced later that night. After I got my grandson back from band practice which I stayed to watch since that always cheers me there was door slamming at around 11 PM just as I was trying to let the day go—I live temporarily with my sister and niece. Somebody was trying to make a point to the other and a good slam of a door is how those two do it around here which I’m sure the neighbors in this building also appreciate! Yep, Moon moved through my 4th house alright! Happy that the Moon has now advanced to my 5th house now. Will be back to blog my way through the 5th house Lunar transit in a day or so. Apathy and indifference! How to “handle that” when there’s a lot to do and you don’t feel like doing it? I drew a tarot card for insight. I have packing to do and my heart’s not exactly in that–except when the guy downstairs play’s his guitar and sings like a dog howling at the Moon. That’s motivation! But back to the card I drew. We all have times like that, don’t we? Stuff to do and we don’t feel like it and know we will never feel like doing that thing–right? Well, the KNIGHT OF WANDS brings guidance. He’s indifferent and apathetic at times on his negative side but he also has great courage and he moves forward, although awkwardly. All he needs is a cause… to create an attitude of service to others and then the apathy disappears. Fire within—there has to be some type of desire that is stronger than what you don’t want to do. I don’t want to go in the direction that I have chosen to go but I don’t want to maintain the current course either—that feels like being “between the rock and the hard place” as that saying goes. I don’t want to go where I’m going but I don’t want to stay here either and I know that I have to go—must go and really DO want to go! But where I’m going doesn’t seem all that enticing either. But I know I will be helping someone and will be able to save money. And it’s only temporary—that last part is what I need to keep remembering! So I have to pack and there’s the pickle! I drew a card for my apathy and indifference and lack of motivation about that. 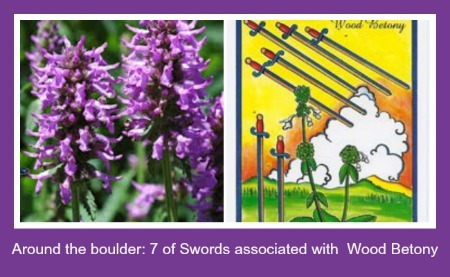 It’s interesting that the herbal tarot connects this card [Knight of Wands] with MONKSHOOD which is actually a very poisonous plant. It’s a metabolic stimulant and in small doses can be a used [Chinese medicine] for low metabolism. Suddenly I think of using this apathetic indifference about packing as an athletic challenge—use it as a “work out”. Make it exercise, work fast and it becomes nearly aerobic. Yeah, okay—maybe that is something that I could use to change the attitude and motivate self. What about selfless service? I could think about how I will be helping my sister save money and how we will both be using less energy—conserving mother earth; things like that. Yeah, maybe I could expand that and make it work as an antidote to my apathy and indifference about packing. I can think about the guitar player neighbor downstairs and his howling with his guitar and how I’ll be rid of that aversion. I can think about how poisonous this angry kid’s energy is and how getting away from that will be a good thing. Determination is what is needed when this card comes up in reply to a question. In this case, the question or concern is about my not wanting to do what I know I must—continue packing! Between a rock and a hard place! That’s how I feel. I can’t stay and I feel resistance to going where I’m going. Where did that phrase come from anyway? Of course we know that it means, “In difficulty, faced with a choice between two unsatisfactory options.” Just like “between the devil and the deep blue sea”. Well, Knights [in tarot] like adventure and change! Moving from the mountains in the first place was that indeed! And another move will be adventure and change too—moving in with my LEO sister and ARIES niece! If you know astrology then, yeah, beginning to see why the lack of motivation and apathy? But the good news is neither of them plays guitar (same notes over and over and over) while howling like a dog at the Moon. I must think of myself as a monk going into a monastery! devote my time for the benefit of all sentient beings and do my best to create some merit, somehow. Must review the 37 practices of a Bodhisattva! Must be a better Buddhist! I don’t think Ram Das really said this but there was a recent quote on Facebook that read, “If you think you’re enlightened, go spend a week with your family.” Oh, enlightenment and initiations and packing and never mind all that because my daughter just texted me about going to the Y for a work out. Didn’t want to pack anyway! It’s a no brainer; I’m outa here! I’ll pack some more later or another day! I think about Monkshood and motivation and attitude while I swim and maybe come back with a better attitude. Something. For now, I’m outahere! Cha- cha- cha- chaaa-changes!! As for me, it’s a little bit foggy but I did see our new apartment yesterday, being able to look upstairs at what will be my monastic cell. Could be worse. Not sure how this is all going to go since now the move date is in question, at least my own half of it. I may be looking at boxes for a month longer than I originally thought since the only girl left in the office (the other two quit) can’t get an answer from the big boss regarding my particular apartment’s lease. Geesh! I’m looking hither, thither and yon trying to determine how the furniture is going to be in my room and have fingers, toes, and everything crossed that they can get the horrid smell out of the place before we get in. Previous tenants had some real issues! Yuck. Yeah, foggy. I don’t know how long I’ll have to be there before another place opens and with each box I pack, I wonder if its contents should go to storage or the garage sale/Goodwill pile. Ahh, but it could be so much worse indeed! At least there is someplace to go besides the street with a shopping cart! Actually, I’m sort of getting ‘into’ the fog lately finding the humor in it while I sing the Buddhist song about form, appearance and emptiness! That’s a song of enlightenment and always calms me and soothes me and restores happiness [lyrics below]. Meanwhile, I know the sun will shine again and all will be temporarily organized again even though there’s chaos now. Then we have the next move after this one to who knows where for certain; although I have a pretty good idea (being psychic and all). Empty forms like a rainbow with a shining glow! — I try to hum this tune as I load the boxes. Better go feeD my daughter’s cats now! Today’s my last day of cat duty–that drive down the Interstate is way too exciting for my taste but shouldn’t be bad today being that it’s Sunday. Good excuse to get away from the wailing guitar guys anger as he gives me opportunities to practice patience over and over as he slams the door yet again! Wow, bad morning dude? The wall shakes when the door slams… more Bodhisattva practice for me!! thanks dude! Oh yeah, the Buddhist song…. the words…. Let awareness go, OH, where no mind goes! What a combo! Trees and crystallized quartz! PETRIFIED WOOD was once a living, breathing tree. Some kind of powerful, special energy has to be in those stones, right? I once visited the Petrified Wood forest in Arizona; amazing place, that! They say that over 200 million years ago, trees and logs washed into an ancient river system and were buried quick and deep by massive amounts of sediment and debris. Minerals, including silica dissolved from volcanic ash, absorbed into the porous wood over hundreds and thousands of years crystallized within the cellular structure. The Petrified Wood in the national park in Arizona is almost solid quartz! Very earthy! Makes sense then that petrified wood crystal stones are connected with the root chakra. Doing PAST LIFE readings? I like to hold Petrified Wood and also Amber–both known for being formed so far in the past. Petrified Wood makes you think how sudden dramatic and sometimes frightening change can happen so quickly but result in such magnificent beauty. Some say that if you have an aging issue, concern or problem that petrified wood can help. I like to hold this stone when I am working with the intention to create a change that is quick yet permanent—fossilized and cast in stone so-to-speak. Sometimes in life we do bury things quickly and deeply such as traumas in the same way those trees and logs were quickly buried into the earth but then became uncovered or rediscovered eons later revealed to be such a beautiful stone, changed permanently. Petrified stone reminds me that some of the most beautiful aspects of humans resembles crystallized trees or petrified stone—one form changes to another—something that happened quickly and was buried deeply results in something really beautiful when it surfaces. Yeah, okay, the opposite is true–certain other attitudes and behaviors can become crystallized too. Anyway, I enjoyed remembering my visit to the Petrified Forest in Arizona. Being there was like being in a huge outdoor church—yeah (sorry) was raised Catholic, nuns and all. But you know? 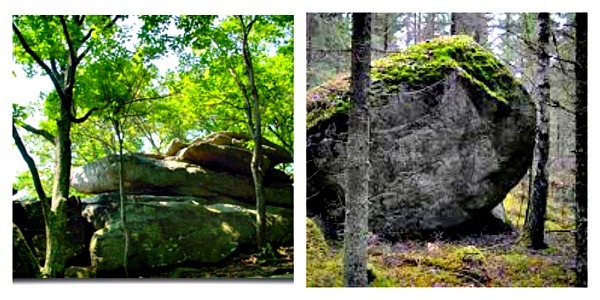 You felt like you should whisper as you went through the forest—awe inspiring and sacred place for a psychic like me! A while ago I happened to be searching for information for someone from the archives of my own blog and came across a post that I wrote when I lived back in the mountains. A pang of intense emotion accompanied the read remembering my life then as it contrasts to today’s challenges since I moved. I’m sure this has to be a universal sentiment—as most feelings are! What do we do when we want to go back to the past but simply cannot? How do we handle it when our present situation falls so short of a past that we feel so fondly about? This could apply to just about any kind of loss—this question. I want something right now—an insight, some guidance, or wisdom to help me with this feeling. There are many tools to use—Lord knows! I have a huge toolbox too! But for now my tarot cards are handy, so I did a shuffle and up came the EIGHT OF PENTACLES. What message or insight does this card bring? So first thing is that the card, in this case, describes the dilemma or situation that is being asked about. That is so true of how it is when I work with the cards—it lets me know I’m on track; it’s validating. This card is about developing skills and talents. I suppose that is what grief, loss and change do—we develop new skills and talents because of that. We want to go back and can’t (for whatever the reason) and here we are—it’s new, different and we just would rather not participate in the new reality! Yet, here we are. Well, that’s one insight to help with this feeling… this pang of wishing things could be like they used to be! We have to remember that we developed skill and talents in that old situation and our life now is about developing new skills. Yes, I hear ya’. I don’t want to either and don’t like it one bit. I want to love my life like I used to! The 8 of Pentacles is about broadening the horizon on an earthly level. The Hermit card is most it’s opposite… the Hermit is how I used to be—alone, solitude. Hermit is about inner knowledge and 8 of Pentacles is about outer, earthly knowledge. Well, I’ll say this much. I’ve learned a lot about the smells of Indian cooking, and hookah smoking and the vocalizations of Indians too! More than I ever wanted to know but then again I’d never have known any of that if I’d stayed in the mountains. This card also is about preparing, being prepared for something—well, whatever it is, I hope it’s going to be joyful because I’ve had enough of the opposite to last me a while! I guess anyone who’s suffered a loss will understand that firsthand and say the very same thing. Discipline is another aspect of this card or this part of our life journey represented ‘by’ this card. But we are not supposed to look for an end result with these types of situations –these experiences that have us wanting to go back to how it used to be—we’re not supposed to look for an outcome. We’re supposed to just get through them knowing we are being prepared for something in future somehow and that we are developing some type of discipline and training. And we must try to elevate our sorrow or feelings of loss and use the depth of feeling to reach out and help others. I’d like to think that writing this blog post may be doing that in some way. In our life we are guided, led and sometimes shoved in directions the help us “push the envelope” so-to-speak so that we don’t become complacent. Or perhaps we have perfected our skill and the universe had more confidence that we could handle it that we ourselves do at the present moment! Maybe we are to become more fully conscious of our work, our true work. And to do that we cannot go back, only forward—whether we like the current pangs of desire to return or not. If nothing else we will become experts on dealing with wanting to go back and dealing with the feelings of not being able to! This card is encouraging us to have confidence in our skills and talents and to understand that we are learning something new that we will use to bring to our life to benefit ourselves and others—we are being prepared to elevate our skills. I wanted more not being fully satisfied with the information from the 8 of Pentacles. I put all the major arcana cards together, wanting more of MAJOR insight so-to-speak. Whats the bigger picture? ask the Major Aracana. In the Hero’s Journey, the Hierophant points to “education of the hero”. In that sense, our education–yours and mine reader. 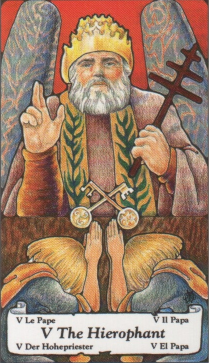 Hierophant is the name given to the High Priest. One task of the Hero faces is the search for meaning–that’s certainly what I’m doing. It’s also about conforming and adapting to “the system”—wow. Learning by living with others—well, I’m certainly doing THAT in this apartment situation in which when the neighbors talk, they talk to me too since their voices are in my room as well as their own. They speak Hindi and i have no idea what they are saying though. Alright, i agree that I need to mediate on this a bit more. Maybe that ALONE will keep me from being melancholy about my past! I may come back to this post to add more as I reflect upon this. ADDENDUM: this is me coming back to this post after 5 days. Around the time of the original post, it was the anniversary of my mother’s death, three years ago. I don’t know if this was subconsciously affecting me or the stress of living with the Indian couple below me which felt that day like a mini-breakdown of some kind–on my last nerve with their constant noise. However, shortly after that post I went into a meditation period which lasted 10 hours with only short breaks for bathroom and a bowl of soup–otherwise I sat in a semi-lotus pose on my bed chanting and turning to my old ritual of praying the rosary and periods of complete silence and breath work. In that 10 hour period the messages of the 10 of Pentacles and Hierophant were much clearer. I was actually taking the advice of the cards—doing my spiritual work away from the human community (my meditation music gave me the space) and turning to the old religious-type traditions of prayer, chanting which merged catholocism, hinduism and tibetan buddhism. I knew then that i was doing the Hierophant “thing” without knowing it until that moment. In the midst of the 10 hours i asked for one message or insight not wanting to clutter up the energy but to rather simplify it and clear it instead. The one message was given at my request. CENTER is the word that I heard and then I heard BETWEEN THE TWO PILLARS and then I knew that it was the Hierophant card meaning that I was being given and i was doing that very thing so it was as if it all came together. The next day i remained in that quiet centered state also. I am blessed to be able to schedule my own work and life and living alone I was able to devote myself to 10 hours of meditation as therapy doing my spiritual work.